The state BJP has slammed the Pradesh Congress Committee (HPPC) chief Virbhadra Singh statement asserting that the Congress will set up Special Investigation Team (SIT) for corruption cases after assuming the office. 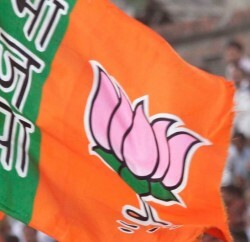 BJP state vice-president Ram Swaroop Sharma and spokesperson Ganesh Dutt said the party would have welcomed any such move to end corruption if it had come from a leader who had not been booked for graft. They said the illegal occupation case of 161 bigha, sagar katha case and CD case were well known to all and the Rs 2.28 crore bribery case detected by the Income Tax Department was the latest addition. Until exonerated, Virbhadra Singh should not talk of SIT, these leaders said in a press communiqué.